Happy 10th birthday!!! 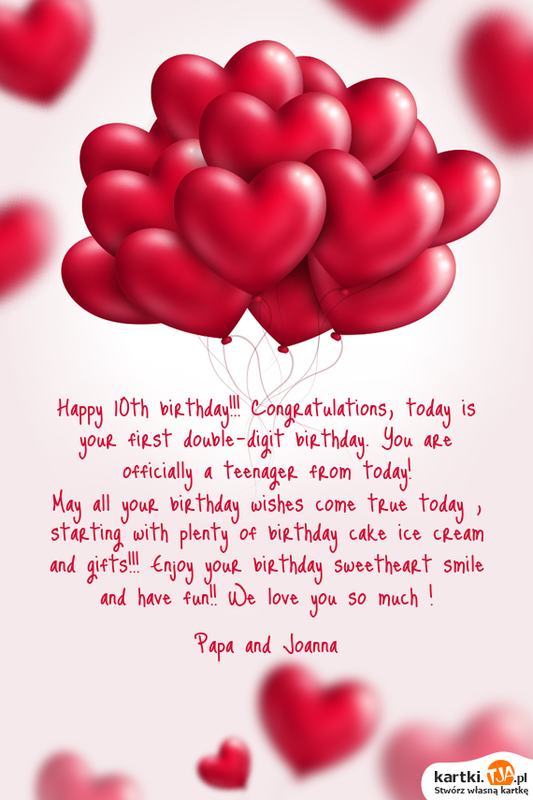 Congratulations, today is your first double-digit birthday. You are officially a teenager from today! May all your birthday wishes come true today , starting with plenty of birthday cake ice cream and gifts!!! Enjoy your birthday sweetheart smile and have fun!! We love you so much !